Less than 40 hours previously I was in a crowd of 50,000 at Cardiff’s Principality Stadium, watching Wales v Spain. Then here I was on a playing field in Kidderminster as Amblecote Nomads hosted Excel Church FC in the West Midlands Christian Football League (WMCFL). A big step down? Well, obviously in many ways it is very different, but as far as I’m concerned it’s all football and it’s all good. Although I work full-time in the beautiful game (I’m the head of media at the champions of Wales, The New Saints FC), I’m still a fan and it doesn’t matter whether I’m working in a national stadium somewhere in Europe watching professionals, or standing on a park pitch with lads playing for fun, I always enjoy every game. This was my second WMCFL game of the season and as I know some of the lads at Excel Church, I’m tracking them for the time being as I add new grounds to the list. In this case it was Kidderminster’s Springfield Park that joined the ever-growing number. As far as groundhopping is concerned, there are no hard and fast rules, it’s up to each individual to follow their own path. For me, it has to be a ‘proper’ game though. For example, I wouldn’t spot a group of lads having a kick-around on some waste land, watch them for five minutes and add it to my list. Likewise I have to watch the game properly. At Springfield Park there are two pitches next to each other and on the day I was there, two matches started at the same time. Although I was in a position where I looked on to both, in effect I was only watching one so I just included that. If you take it to a logical extreme you could visit Hackney Marshes on a Sunday morning, go for a walk round and by the end of it you have 88 new ticks, because that’s how many pitches there are. I would include each individual pitch as a tick but I’d have to go to 88 games as opposed to just one trip and a long walk. For me it’s about watching each match, the tick is secondary in that context. Having said all that, these are just thoughts and whatever others do is up to them. I’m certainly not criticising anyone. I don’t know, there may even be people who watch games on television and keep a list of how many grounds they’ve seen a game at that way. Live and let live is my motto. As far as my own groundhopping is concerned, I always go to watch a game and not simply to add somewhere to a list. First and foremost it’s about enjoyment and I do love visiting new places. That’s about it, really. Back to the game in Kidderminster, which was my 50th of the season. 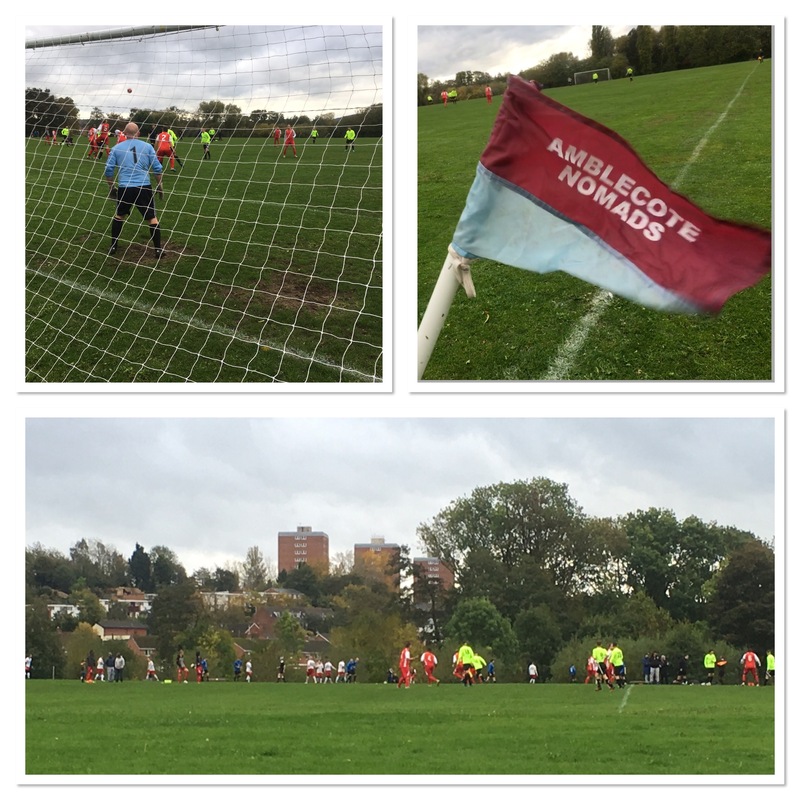 Although Excel Church took the lead in the opening minutes, it was Amblecote who ended up victors, with a 5-1 scoreline.